New Delhi: Parryware, India’s leading bathroom brand has joined hands with Nila Madhab Panda for his upcoming movie ‘Halkaa’. The film that has traveled to over 15 International film festivals across the globe,essays the story of a slum child’s dream to free himself From open defecation and have a toilet of his own. It’s a story of his heroism and aspirations. The film has Won Two Best Film Grand Prix at Montreal and Poland Film festivals and selected in 15 other Prestigious Film Festivals worldwide. Parryware has always been a thought leader in the bathroom industry and been on the forefront of providing access to better sanitation and hygiene facilities to the people of India. The film also reflects the same and highlights the need to curb ‘Open defecation’ in India. This unique partnership extends to cinemas, retail outlets and digital space; and is another of brand’s cross industry associations. This partnership also launches the 2nd edition of parryware Loo break campaign in cinemas. Post receiving a great response for the first season of ‘Parryware Loo Break’ campaign, India’s contemporary bathroom solutions brand, Parryware has rolled out the second phase of its national level campaign in association with the Halkaastarring Tathastu, RanvirShorey and Paoli Dam. The campaign is first of its kind in the industry breaking clutter and making the brand synonymous to Loo breaks. 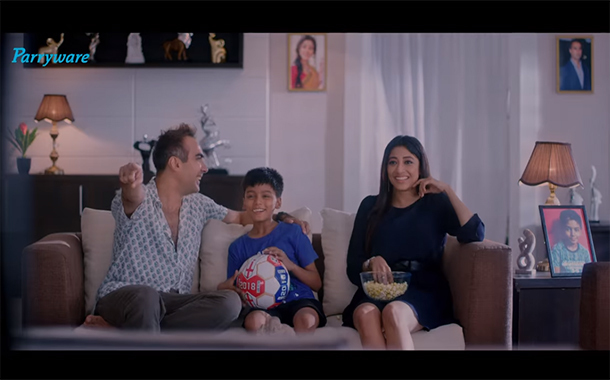 The TVC breaks the conventional advertising, where it will mark the beginning of intermission and will be played across 170+ PVR in 35 cities ensuring complete attention of the viewers. Apart From this, the brand is promoting the partnership & new product launches through innovative POS at more than 2000 dealer & retailer stores across India.